When facing a federal drug trafficking and distribution charge, it is important to understand the allegations brought against you which jeopardize your freedom. Federal drug trafficking and distribution charges are classified as a felony. A major differences between a state and federal charge is that most federal charges are for trafficking and distributing, while most state arrests are for possession. Whether a drug is illegal depends on what it is being used for and how you use it. The term is not limited to banned drugs such as cocaine, heroin and methamphetamine. For example, the term “illegal drug” can refer to medication such as Xanax, which was legally prescribed to a recipient, who then illegally distributes the drug in an unprescribed manner. In addition, both the state and federal government define specific drugs as controlled, which means both use and distribution are monitored by state and federal law. Each controlled substance is classified by schedule level pursuant to the Controlled Substance Act. Whether or not you intended to actually deal the drugs is not key. The two main issues in determining a conviction for distribution and trafficking are, whether you were in possession of the illegal drugs and whether the amount in possession satisfies the statutory distribution requirements. Possession does not necessarily mean physical possession. Control over the location of the drugs may be enough. 3. Where the event occurred, such as where the arrest took place and whether the drugs were brought into the U.S., across state lines or distributed near a school. Circumstances aligned with the above locations tend to carry a harsher penalty. The penalties and procedure associated with the transportation and illegal importation of an illegal drug are strict in design to combat and deter distribution. Like many federal crimes, drug trafficking and distribution penalties at the federal level include fines, prison and probation. In addition, possible penalties include mandatory minimum sentences. Fines: Federal drug trafficking convictions vary and can include astronomical fines up to $10 million. Prison: Sentencing procedures do not offer a break to first time offenders. Prison sentences vary from one year to over ten. Life terms can be imposed upon repeat offenders caught with large amounts of drugs. Probation: On both state and federal levels, probation ranges from one to three years. Mandatory minimum sentences: Typically drug trafficking offenses carry a minimum sentence which cannot be avoided. For example, if you receive a sentence for 10 years carrying a mandatory minimum of three years, you must serve at least three years regardless of factors which may typically reduce a prison sentence. When crafting an effective defense, it is important to select an attorney who understands the law, knows that good people may fall victim to bad circumstances and possesses the analytical ability to dismantle the prosecutorial bomb about to decimate the control over your own life. Our firm understands that proactively defending an individual’s rights starts once a charge has been filed. Objecting to the initial charge could potentially have a favorable impact on the rest of the journey. In addition, some may find themselves in the wrong place at the wrong time, all of these factors are taken into consideration. We know you take your future seriously, and deserve an advocate who will do the same. Do not delay the process and contact us today, as an earlier defense could impact the rest of your life. Federal charges are extremely serious and can be life altering. Our Client first approach can turn an unclear future into a hopeful game plan. At The Umansky Law Firm, it is not only our attorney’s experience and knowledge of the law that makes our clients feel more at ease, but our communication and dedication to our client’s unique situation. We understand you are an indispensable resource in creating your defense and want to hear your story regardless of how silenced you may feel. Attorneys like Brice Aikens have successfully represented clients facing federal charges. These victories result in more than a mere not guilty verdict, but an award of restored freedom. Many clients who inquire into representation are scared and have many questions. 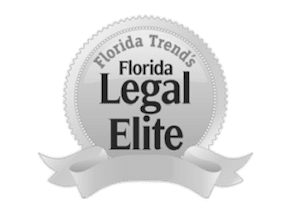 These inquiries include, whether hiring a private attorney is necessary, the penalties they face are facing and what their current rights include. The answer is simple. It depends on the unique facts and circumstances surrounding your existing or potential case. Call us for a free consultation and put your inquiries to rest. Through contacting us, you have nothing to lose and everything to gain. It is important to take action now for several reasons. As previously mentioned, a proactive defense is the best defense. In addition, you will be questioned by police or other investigatory agencies, if you have not been already. It is important to have an advocate present from the start who can assert and defend your rights against being bullied into a certain unfavorable response. Allow our advocates to walk you through the lengthy prosecutorial process with reassuring compassion for what can turn into overwhelming anxiety. We can appreciate this is a difficult time and possess the tools to construct a strong defense and uncover the light in a seemingly dark place.